The brook trout (Salvelinus fontinalis), sometimes called the eastern brook trout, is a species of fish in the salmon family of order Salmoniformes. It is native to Eastern North America in the United States and Canada. In many parts of its range, it is known as the speckled trout or squaretail. A potamodromous population in Lake Superior is known as coaster trout or, simply, as coasters. 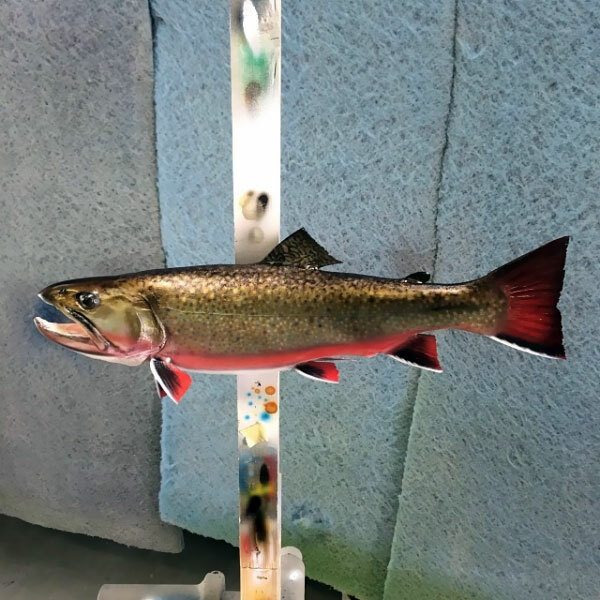 Though commonly called a trout, the brook trout is actually a char (Salvelinus) which in North America, includes the lake trout, bull trout, Dolly Varden and the arctic char. 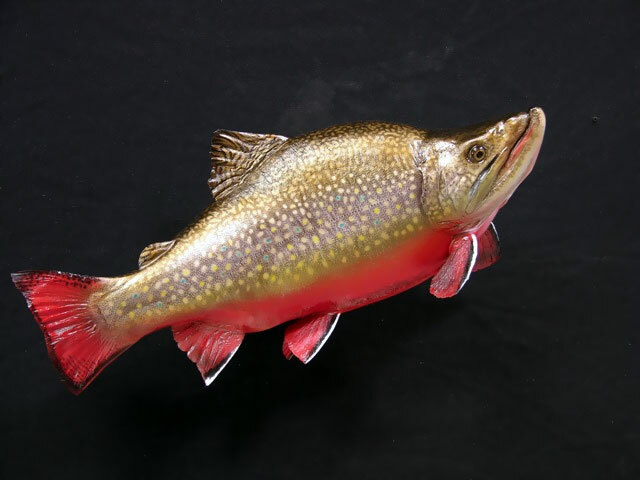 The brook trout is the state fish for eight states: Michigan, New Hampshire, New Jersey, New York, Pennsylvania, Vermont, Virginia and West Virginia The specific epithet “fontinalis” comes from the Latin for “of or from a spring or fountain”.